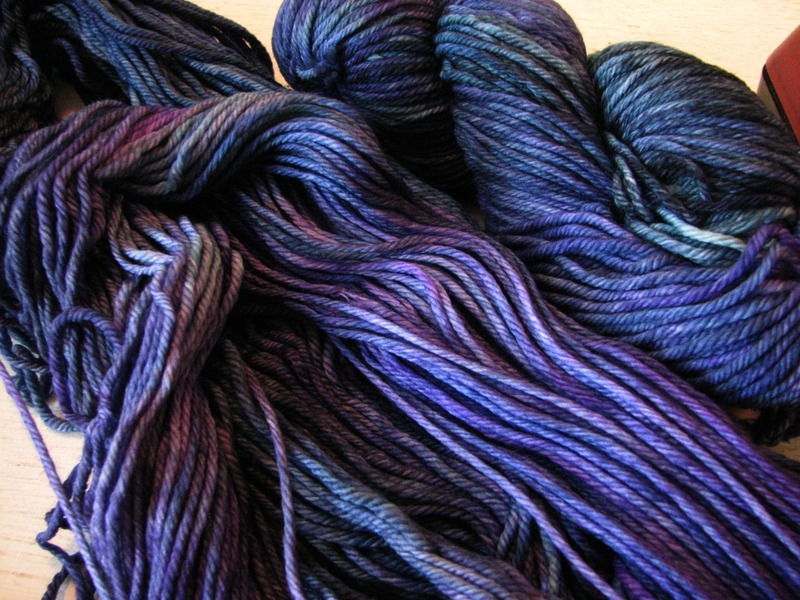 lovely Malabrigo. I made scarves for a couple of people for Christmas. Now it's my turn. I wish I could get a photo that does justice to this yarn. Trust me, it's gorgeous and so soft. 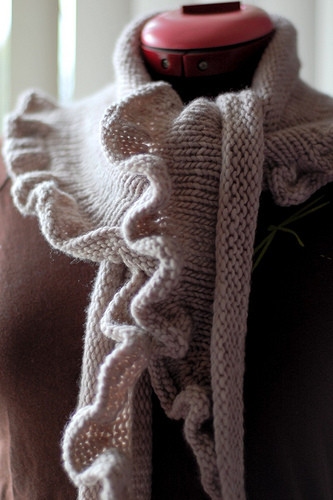 This photo is from the pattern, Just Enough Ruffles by Laura Chau, which you can find on Ravelry here. I rarely make anything with ruffles, but this is a simple scarf with a nice drape to it. And it's very easy to knit while watching a movie, which is my big new year's eve plan for tonight. Beautiful! The ruffles look so classy.